Electronic cigarettes (or e-cigarettes) have become increasingly popular in recent years -- particularly in the younger demographic. Consumers have switched from the more traditional form of smoking to the small, battery-operated device, with many under the assumption that it’s a healthier and safer alternative to regular cigarettes. However, not only does data from the Centers for Disease Control and Prevention (CDC) tell a different story, but a new report recently published in Tobacco Control found that federal agencies have been underestimating the number of burns and explosions caused by e-cigarettes. Though many perceive e-cigarettes to be a healthier and safer option, or even a method to quit smoking, the CDC warns against the potential dangers of the smoking alternative. 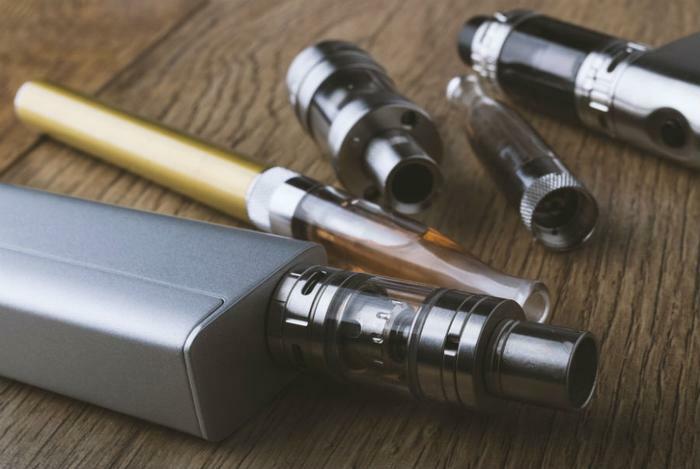 “E-cigarettes produce an aerosol by heating a liquid that usually contains nicotine -- the addictive drug in regular cigarettes, cigars, and other tobacco products -- flavorings, and other chemicals that help to make the aerosol,” the CDC says. Along with health issues, consumers should also be warned of the other dangers associated with e-cigarettes. Some lithium-ion batteries found in e-cigarettes can be defective and have been known to explode or catch fire, and in doing so they can cause third-degree burns; loss of tongue, teeth, or eyes; lacerations; and death. This new report from George Mason University utilizes data from the United States Consumer Product Safety Commission, which shows approximately 2,035 people ended up in the emergency room due to e-cigarette burns or explosions between 2015 and 2017. However, due to a lack of national monitoring of e-cigarettes, and keeping in mind that not everyone reports an injury, the researchers -- led by Dr. Matthew Rossheim -- believe that figure has been underestimated and that more people are harmed in some way by an e-cigarette. The researchers are calling for stricter regulations for e-cigarettes in an effort to prevent future injuries, and they say that it’s important that consumers are aware of what the devices are capable of.